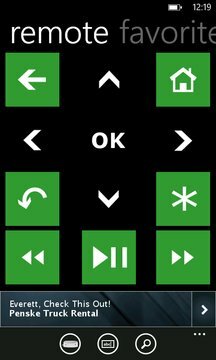 to worry about your remote control again! Ad-Supported Trial and Free versions. this one gone - let us know if you still see it. 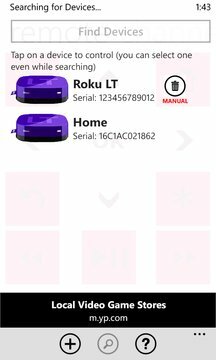 - BUG: App could crash if Roku returned malformed channel image. Huh. - Added "Favorites" pivot, tap & hold on a channel to add to favorites. Thanks Bill!